Currently, Prof Fares Howari serve as a Professor of Environmental Sciences, and Director of the Center of Sustainable Eco Innovation at Zayed University. He served as Professor and Chair of the Department of Applied Sciences and Mathematics at Abu Dhabi University as well as a Director of Abu Dhabi University Center of Excellence of Environment, Health and Safety (CoEHS). He is a water resources and environmental scientist with research development and administration expertise. He hold a PhD degree in Environmental Sciences and Engineering. He served as a Professor of Environmental Sciences and Engineering; and Coordinator of Environmental Sciences Program at the University of Texas, PB. Prior to that he joined the Center for International Energy and Environmental Policy (CIEEP) as program coordinator, and as an Environmental Scientist at the Bureau of Economic Geology at the University of Texas at Austin. Before joining the University of Texas at Austin, Prof Howari worked as an Associate Professor at United Arab Emirates University (UAEU). At UAEU, he served in the Executive Committee for the Water Resources Graduate Program, supervisor for the Environment Society, joined dozens of committees, taught several courses, successfully obtained several grants, and conducted numerous consultations. Dr. Howari worked for about two years at Texas A and M University where he worked as a research scientist on the development and application of computer models to assess environmental contamination problems and conduct risk assessments necessary for Impact Assessments and baseline assessments for scoping and EIA reports. During the progressive of his professional career, he developed distinguished academic, and project coordination skills. 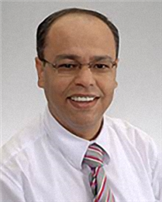 Dr. Howari has valuable experience in management, strategic planning and administration, and also in creative leadership. Dr. Howari also worked as international environmental volunteer in Jordan, US-Mexico border, UAE, and other places. He gained a wide international experience in the area of environmental geosciences, water resource management and planning, resource development, and project coordination in the Middle East. He was the General Secretary of the 6th International Conference of the Geology of the Middle East, held in Al Ain, 2006, and served as a board member of the Gulf Seismic Forum, Abu Dhabi Emirates in 2004. He was the Coordinator of CIEEP’s Conference on Water Policy and Associated Technological Challenges in Arid Regions, held in Kuwait, 2008. He chaired and organized the featured plenary session “Water Challenges and Opportunities in the Middle East” in conjunction with the US-Arab Economic Forum, in Washington, D.C., in 2008. Dr. Howari developed a national and international reputation in his area; he participated in more than 40 international technical meetings across continents. Dr. Howari has a broad and interdisciplinary grasp of environmental-energy issues and their technical, policy, human and social dimensions. He published 100+ publications in refereed journals, conference proceedings and technical reports.